Three Thinkers in a Native Way. 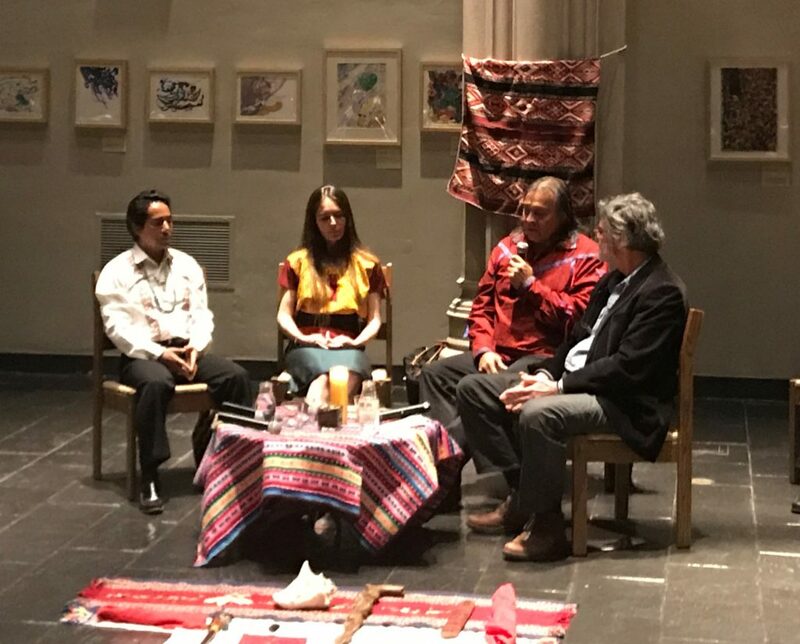 (Left to Right: Mindahi Bastida Muñoz (Otomi), Geraldine Patrick Encina (Mapuche descent), Tiokasin Ghosthorse (Cheyenne River Lakota), with moderator, John Briggs). “We don’t practice con-sci-ence, we practice consciousness, because the former is a state of mind that slices reality into pieces,” says Tiokasin Ghosthorse. 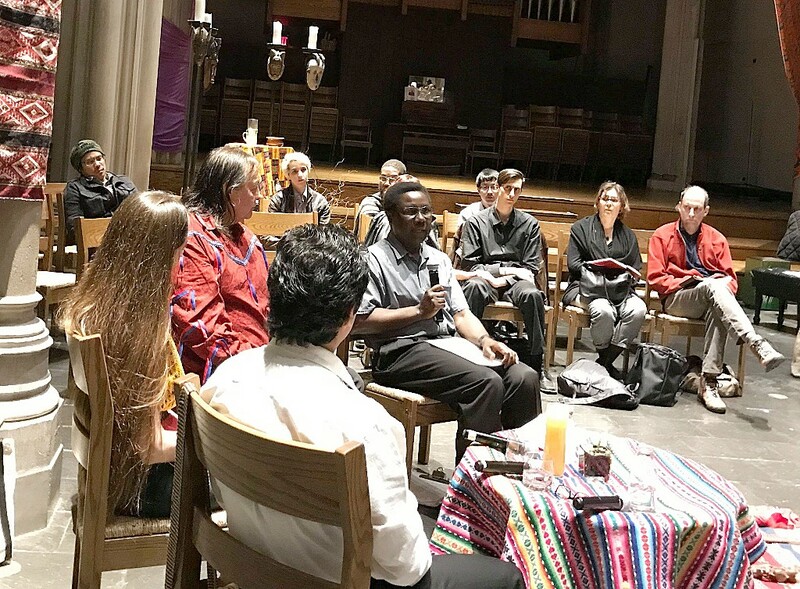 Aliou Cissé Niang, New Testament faculty at Union Theological Seminary, offered reflections beautifully weaving in indigenous perspective from his native Senegal, West Africa. 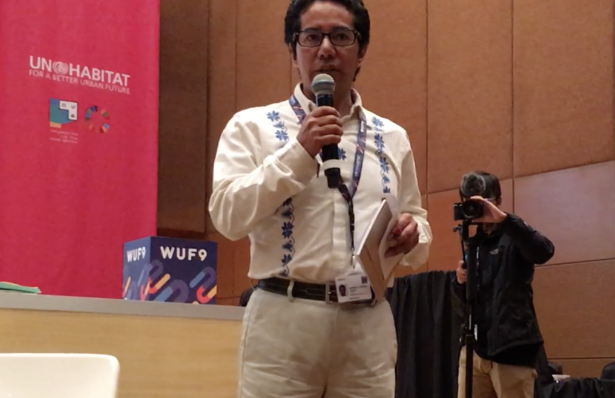 Mindahi Bastida-Munoz spoke at the Indigenous Peoples Round Table at the WUF9. Roberto Borrero and Catherine Coleman Flowers at Beyond GDP: Lessons from Indigenous Cultures and Faith Traditions. Field Ed Reflections: CEE’s Beyond G.D.P. Close to three months after Hurricane Maria made landfall, many Puerto Ricans are struggling for survival and fighting to remain, reclaim, and rebuild. 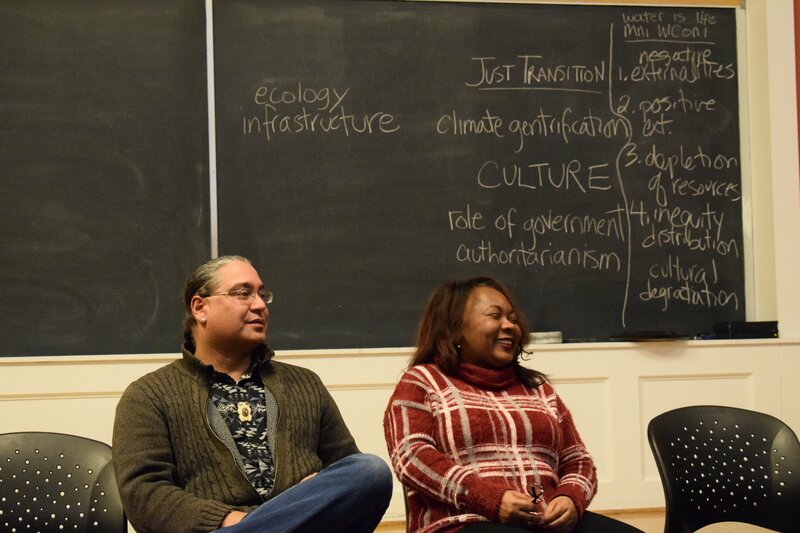 Many of their struggles are related to a climate crisis fueled by a legacy of colonization and extraction. As the crisis continues unfolding, #OurPowerPRnyc is a community-led initiative working to build a Puerto Rico recovery designed by Puerto Ricans. Learn More.